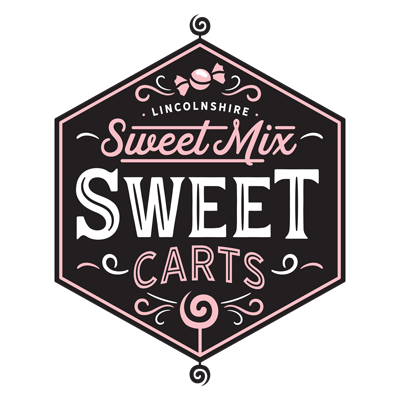 Our sweet cart is perfect for any occasion weddings, birthdays, anniversaries, parties, baby showers, christening and naming days. So give your event the WOW! 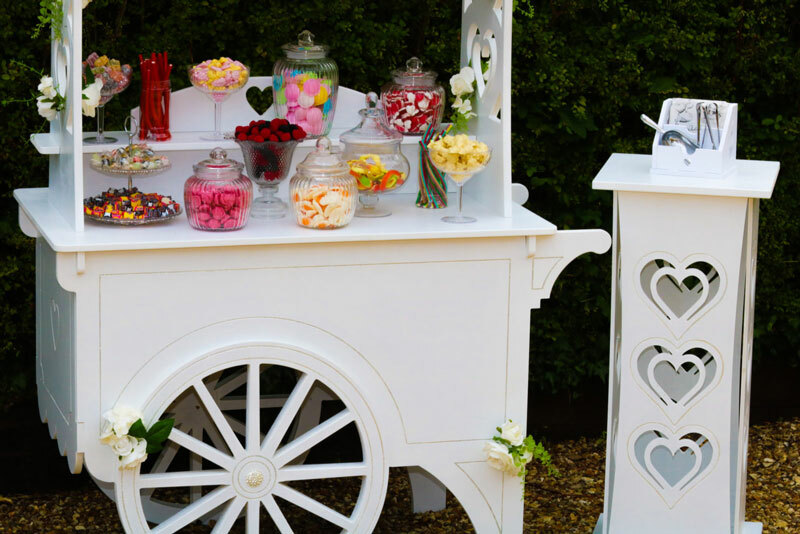 factor with our beautiful sweet cart, fully stocked with your favourite sweets, whether they be Retro, Traditional and/or Pick and Mix. 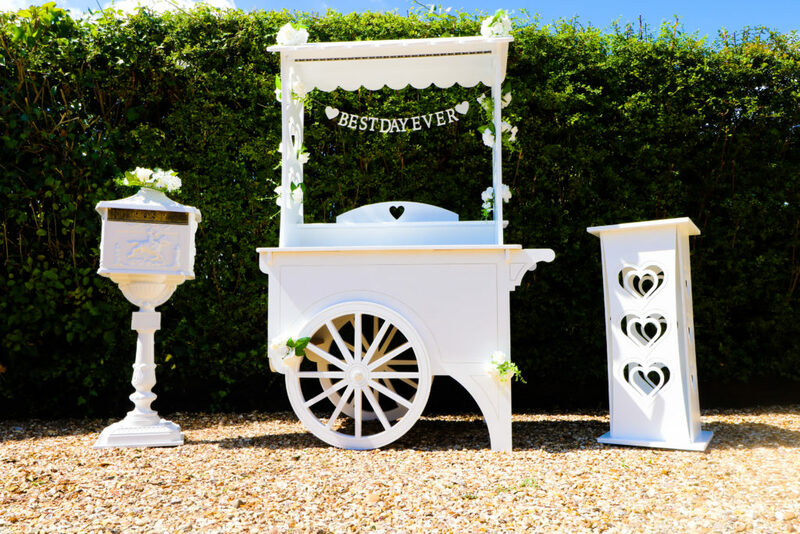 • Includes sweet cart hire, decorations, sweets, glassware, scoops, tongs and bags. 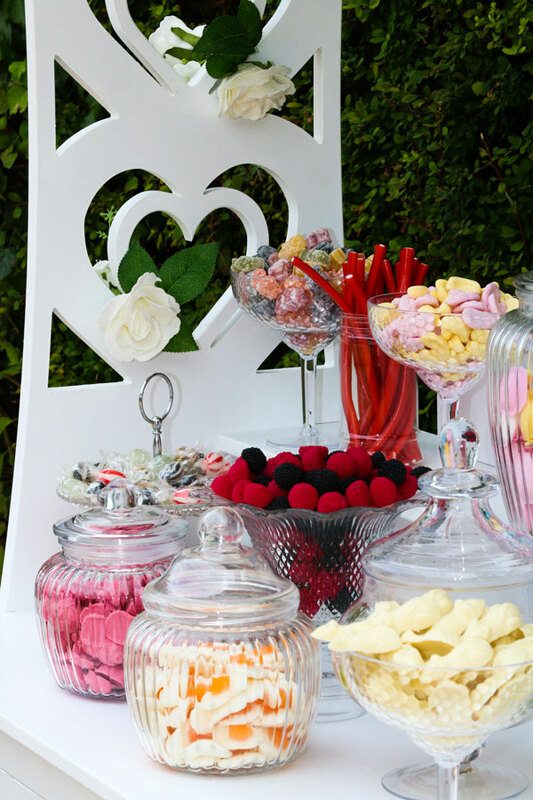 Our Sweet Love, Sweet Sensations & Sweets for my Sweet cart hire packages offer 8 to 12 different sweets from our Sweet Menu, depending on your number of guests and is based on a minimum of 100g per person. 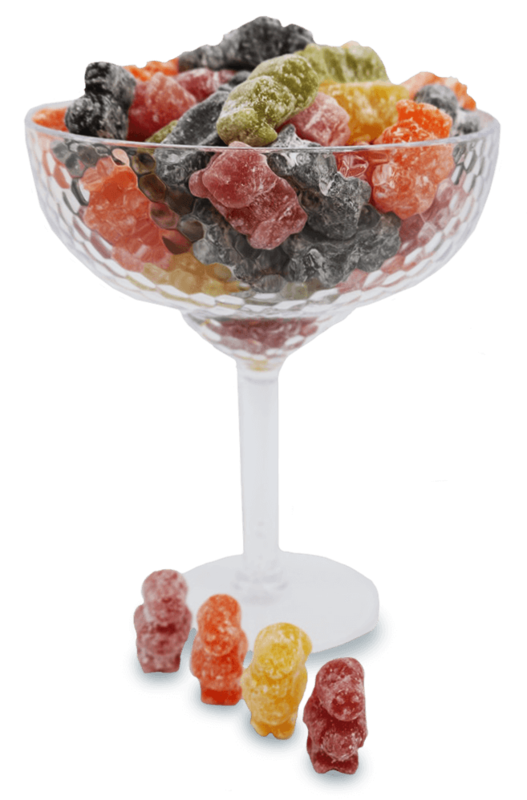 These sweets will be served in vintage and elegant glassware for all of your special occasions. White wedding themed sweet bags or party candy striped bags are also included. 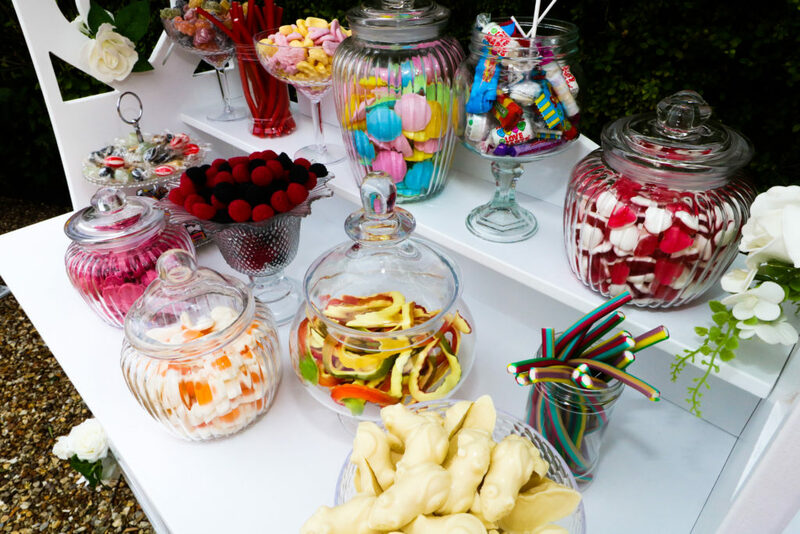 Any remaining sweets are yours to keep and can be bagged up for you and your guests to enjoy. "Best Day Ever" wooden banner, others available on request. 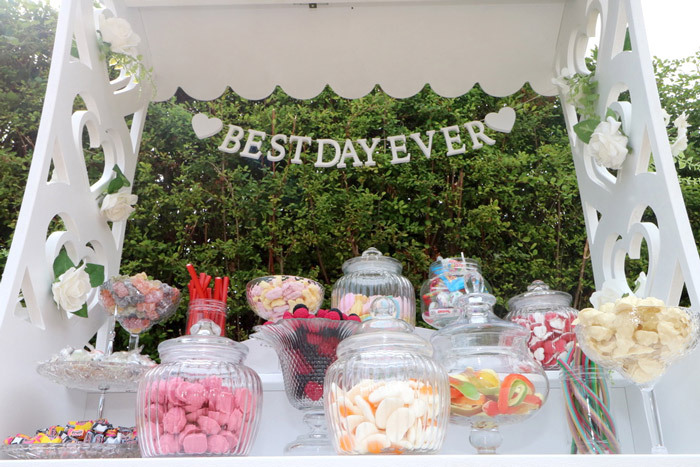 The sweet cart will make your event memorable by giving guests a mouth watering focal point, bringing back some sweet childhood memories, exciting big kids as well as the little ones. "Dressed for your occasion and coloured co-ordinated to match your theme and colours." CHECK OUT OUR SWEET MENU, THERES SO MANY TO CHOOSE FROM! Choose from over 35 traditional & retro sweets, whats your favourite?